JAMAICA, Queens (WABC) -- Gov. 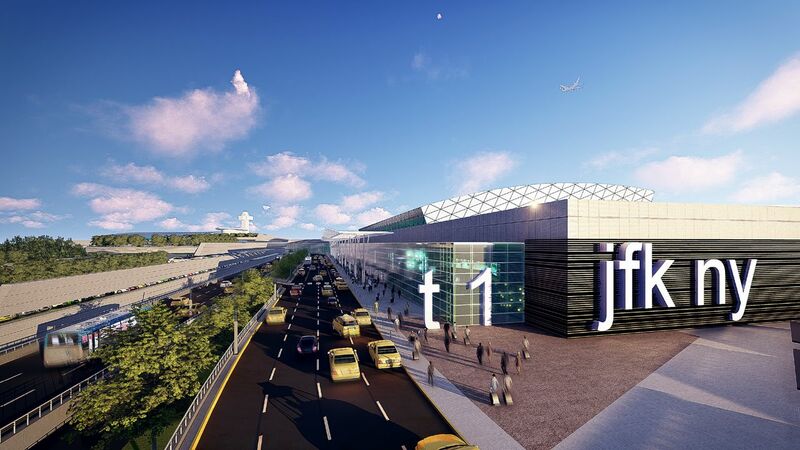 Andrew Cuomo has unveiled a $10 billion plan to transform New York's aging John F. Kennedy International Airport into a world-class hub with easy access. The Democrat told a gathering of the Association for a Better New York on Wednesday that the biggest U.S. city lags far behind modern overseas airports. Plans for the new Kennedy are based on recommendations from the governor's expert advisory panel on airport improvements. Sixty million people pass through Kennedy each year. By 2030, 75 million are expected, and 100 million by 2050. The governor says a critical aspect of the plan is to expand roads leading to the airport, lessening the current traffic congestion. At the airport, terminals are to be linked to each other and accessible by one ring roadway.